It has been one year since Iran and six countries known as the P5+1 (China, France, Germany, Russia, the United Kingdom and the United States) reached the nuclear agreement known as the Joint Comprehensive Plan of Action (JCPOA). Although there have been slight hiccups along the way, the implementation of the agreement is proceeding relatively smoothly and the parties have been able to resolve most concerns and ambiguities that have arisen thus far. The secretary-general of the United Nations is expected to submit a report this month to the Security Council on the implementation of Security Council Resolution 2231, which endorsed the deal and lifted the UN’s nuclear sanctions on Iran. The Security Council requested these reports every six months. Spanish Ambassador Roman Oyarzun is also expected to brief Security Council members on implementation. Oyarzun is the facilitator for the resolution. Arms Control Today interviewed Gerard Araud, France’s Ambassador to the United States and French negotiator on the Iranian nuclear file (2006-2009), May 20. Araud shared his opinion on a range of issues related to the nuclear deal and Iran’s ballistic missile program. Several excerpts from the interview are included below and the full interview was published in the July/August issue of Arms Control Today and is available online here. Araud: Why negotiate? 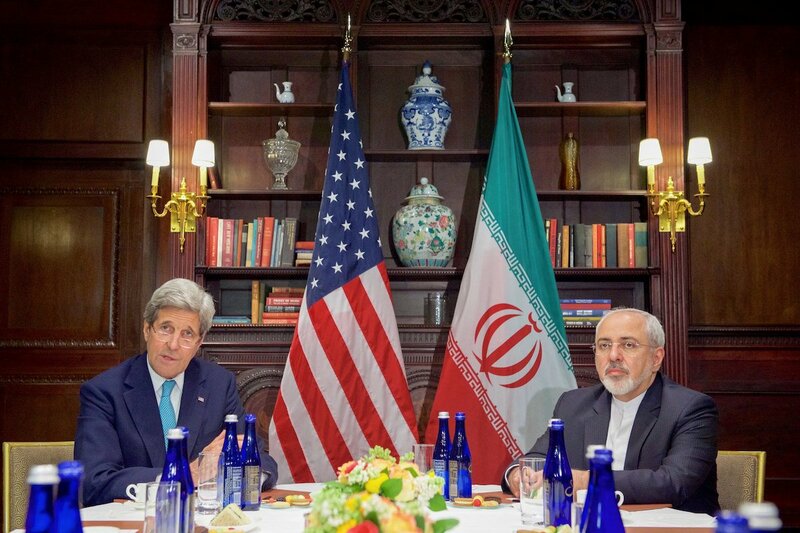 For us, the issue of Iran nuclear power was twofold. First, it was regional. We were convinced that Israel wouldn’t accept the prospect of a nuclear Iran, and that would lead to a military option, with all the political consequences of the region. Secondly, even without an Israeli military operation, it would mean the end of the nonproliferation system. The countries around North Korea—South Korea, Japan—were restrained enough not to follow the suit of North Korea and become nuclear, while, in the Middle East, such restraint was very unlikely. Aruad: I was expecting the Iranians to harden their position on the other issues after this nuclear deal, in a sense to show or to send a message that they have not caved in front of the West, which is a message toward the outside world but also toward the Iranian public opinion, which is dreaming of seeing the end of the revolution. So I guess what we see now as provocations, unfortunately, were more or less expected. On the French side, we have always been in favor of reacting strongly against missile testing in the Security Council, but I think you know the Russians and the Chinese have opposed it. We have said that we have expressed our concern about the missile testing, and we would be willing to go to the Security Council if necessary. The International Atomic Energy Agency (IAEA) issued a quarterly report on Iran’s compliance with the nuclear agreement May 27. While the details were sparse, the IAEA noted that Tehran is abiding by the restrictions to its nuclear program under the agreement. The IAEA said that Iran’s uranium enrichment has remained below 3.67 percent, its uranium stockpile below 300 kilograms, dismantled centrifuges remain under continuous IAEA monitoring, and Iran is abiding by its research and development plan for centrifuge development. The IAEA verified that Tehran has not conducted any uranium enrichment at Fordow. The agency reported that Iran’s heavy water stockpile was 116.7 metric tons May 9, putting Tehran below the 130 metric tons allowed under the agreement. Iran had slightly exceeded the 130-ton limit in the previous quarterly report and rectified the problem by selling heavy water to the United States. The report said that the IAEA exercised its ability to conduct complementary access visits to sites in Iran under Tehran’s additional protocol. Iran is implementing its additional protocol as part of the agreement and will seek ratification of the document within eight years. Rouhani’s remarks came after Iran’s Supreme Leader Ali Khamenei said in late June that the United States was not fulfilling its obligations under the nuclear deal, noting problems with banking, the limited scope of insurance for oil tankers, and Iranian revenues in foreign banks that are still frozen. Some companies, however, are navigating the secondary sanctions still in place and concerns about Iran’s regulatory environment. Boeing announced an agreement to sell $17.6 billion deal to sale airplanes to Iran Air, which was removed from the sanctions designation list as part of the nuclear deal. The Institute for Science and International Security reported on July 7 that the Atomic Energy Organization of Iran (AEOI) recently attempted to purchase carbon fiber, but the supplier refused the sale. Carbon fiber, a dual-use material that can be used for centrifuges, ballistic missiles, and a variety of non-nuclear applications, is subject to the procurement channel set up by the nuclear deal. The procurement channel consists of representatives from the P5+1 countries and Iran. The exporting country must submit an application for the proposed sale to the procurement channel along with an end-user certificate that is backed by the AEOI or Foreign Ministry. The procurement channel can then approve or deny the proposed sale. The Institute for Science and International Security said that the AEOI reported the attempted sale to the IAEA. A second procurement concern arose from a report from the German Interior Minister's 2015 Annual Report on the Protection of the Constitution: Facts and Trends. The report found that Iran's illegal proliferation sensitive procurement activities continued through 2015. Germany's foreign ministry said on July 8 that the period covered in the report was prior to implementation of the nuclear agreement in January 2016. When questioned about the report and the attempted carbon fiber purchase State Department spokesperson Mark Kirby said on July 8 that there "are no indications that Iran is violating the JCPOA." While it is unclear why the AEOI was attempting to make the purchase of carbon fiber, that attempt, along with Iran's past history of illicit procurement, demonstrates the need vigilant enforcement and for transparency on implementation of the deal. Robert Einhorn and Richard Nephew of the Brookings Institution released a report analyzing the impact of the nuclear deal with Iran on proliferation in the Middle East with a particularly focus on the states in the Middle East most likely to develop a latent or actual nuclear weapons capability; Saudi Arabia, the United Arab Emirates, Egypt, and Turkey. The authors find that the nuclear agreement with Iran reduced, but did not eliminate, incentives for these states to pursue nuclear weapons capabilities and make policy recommendations to further reduce the likelihood of proliferation in the region. The full report is available here. Mark Hibbs wrote a piece examining the role of the IAEA in verifying Iran’s compliance with its nuclear obligations under the agreement. Hibbs highlighted several areas where there could be potential problems in the monitoring regime, including personnel shortages at the IAEA and lack of clarity on the role of the agency in certain verification activities.